Does life exist on Mars? The question has captivated humans for centuries, but today it has taken on new urgency. NASA plans to send astronauts to Mars orbit by the 2030s. SpaceX wants to go by 2024, while Mars One wants to land a permanent settlement there in 2032. As we gear up for missions like these, we have a responsibility to think deeply about what kinds of life may already inhabit the planet-and whether we have the right to invite ourselves in. 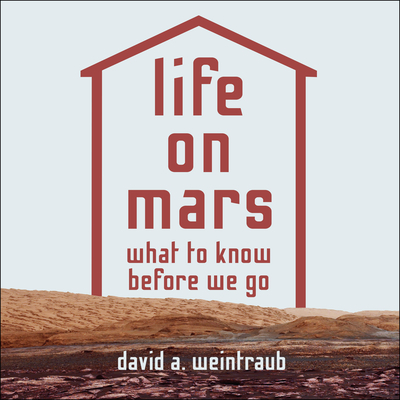 David Weintraub tells why, of all the celestial bodies in our solar system, Mars has beckoned to us the most. He traces how our ideas about life on Mars have been refined by landers and rovers, terrestrial and Mars-orbiting telescopes, spectroscopy, and even a Martian meteorite. He explores how finding DNA-based life on the Red Planet could offer clues about our distant evolutionary past, and grapples with the profound moral and ethical questions confronting us as we prepare to introduce an unpredictable new life form-ourselves-into the Martian biosphere.